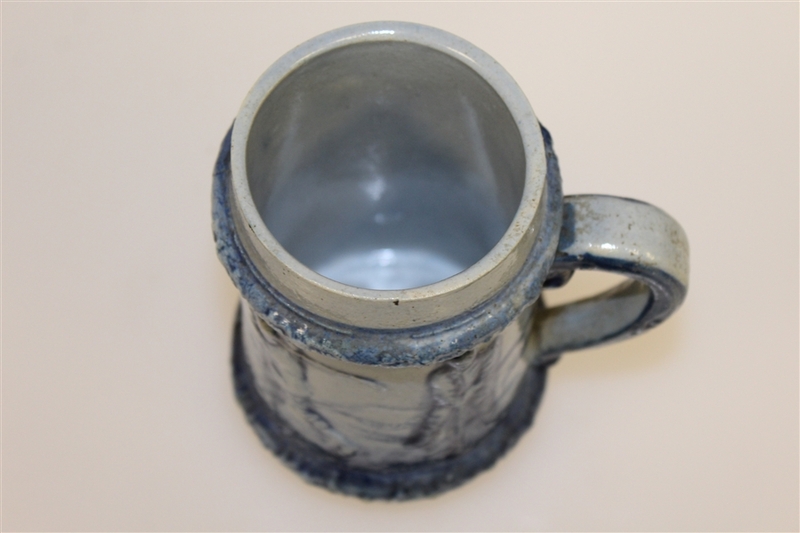 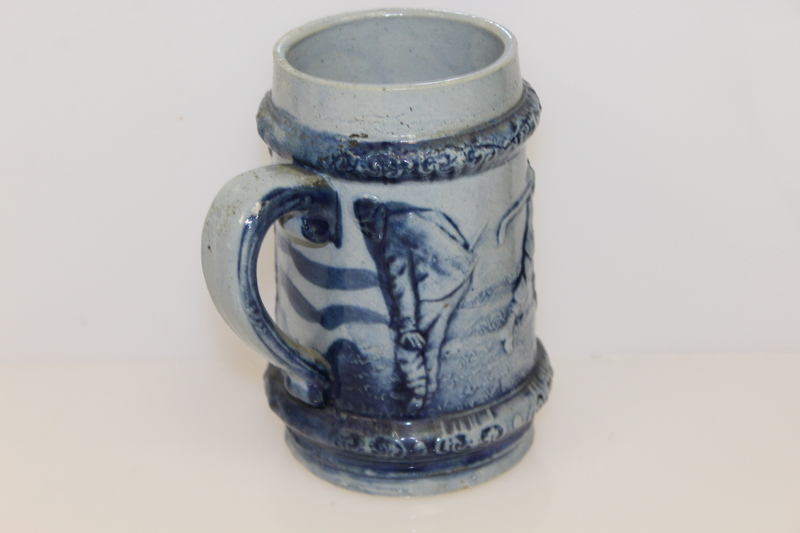 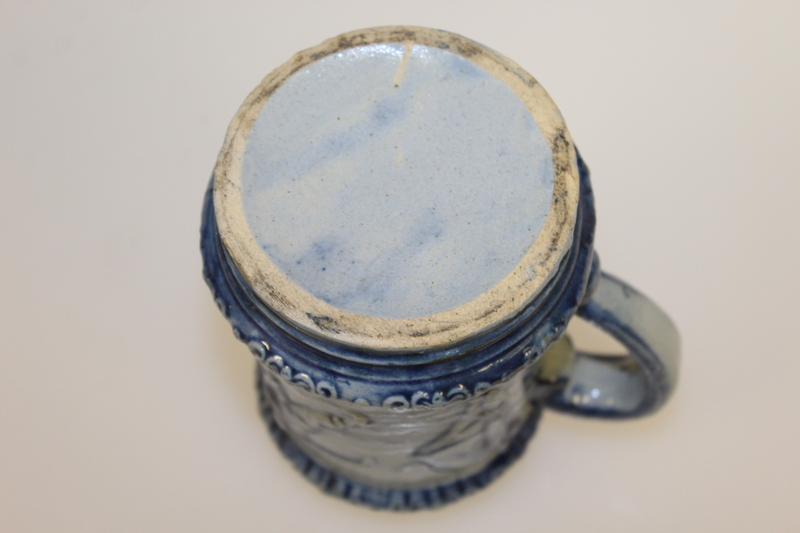 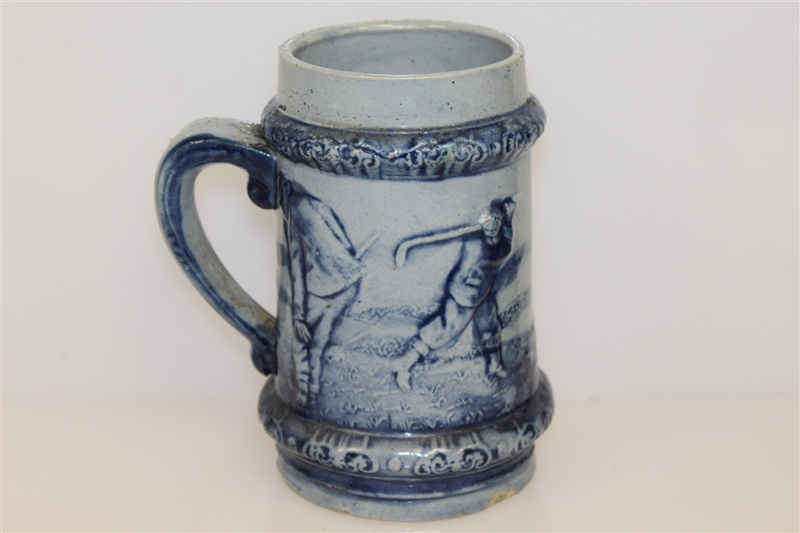 This grey and blue stein stands 5 1/2" tall and has a width to the handle of 5". 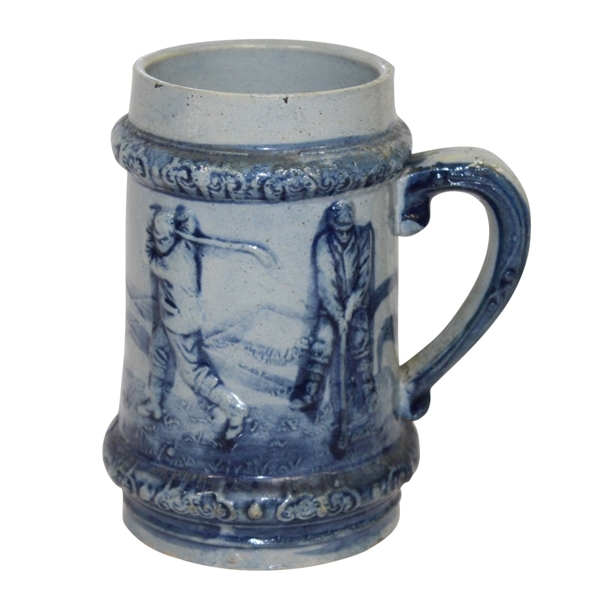 Steins are of German origin with the word stein meaning "stone mug". 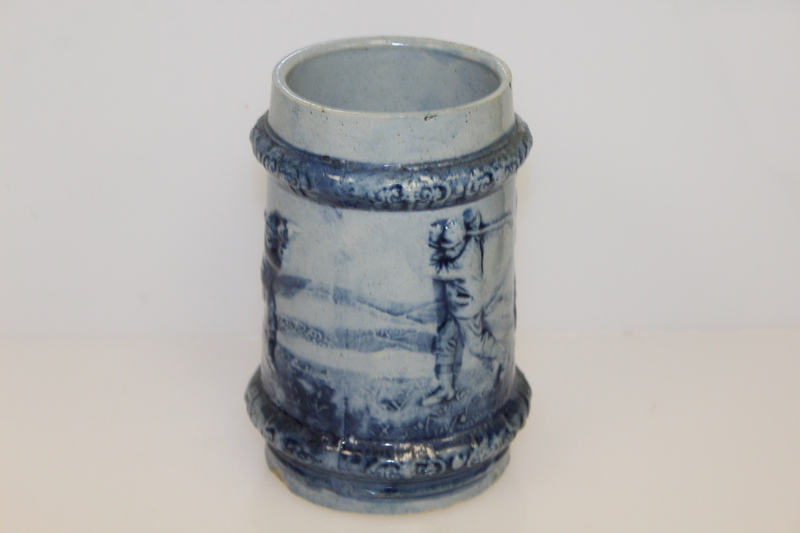 This stein is in great condition.